Following on from our successful cycle challenges in both India and Sri Lanka, ICT is organising similar challenges in Cambodia. The first challenge, which is scheduled to take place between 3rd-12th November 2006, has proved so popular that a second challenge has been organised, running from 27th October to 5th November. As with previous challenges, participants will have the opportunity to visit an ICT project and see the positive outcomes of their fundraising efforts! Check the Itinerary and FAQs for more details about this cycle challenge. To download the Registration forms visit our Register page. 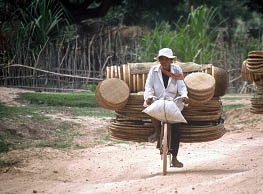 Visit the Cycle Cambodia website for further information.